Download a social media shareable graphic for Instagram, Facebook, Pinterest and Twitter. 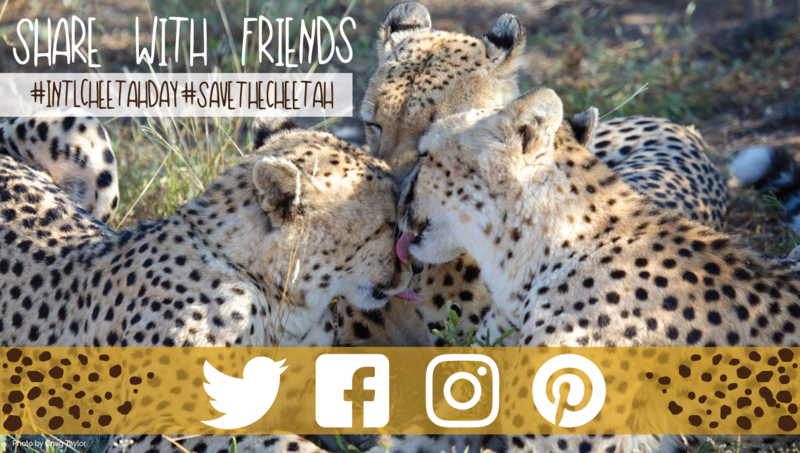 Make sure to visit our Tweet Sheet for easy to share cheetah tweets. Click the image below to visit our social media gallery. 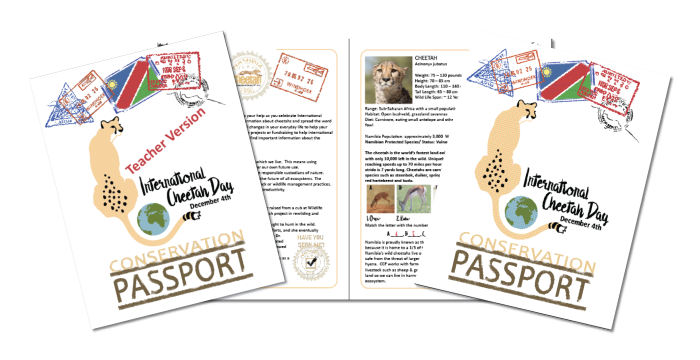 Get your own Conservation Passport for International Cheetah Day! 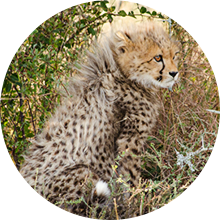 The Cheetah Conservation Fund (CCF) needs your help as you celebrate International Cheetah Day. 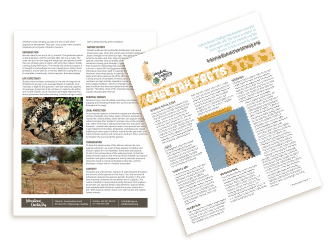 Make sure to gather more information about cheetahs and spread the word about wildlife conservation. Try making small changes in your everyday life to help your local wildlife and stay involved through service projects or fundraising to help international wildlife. 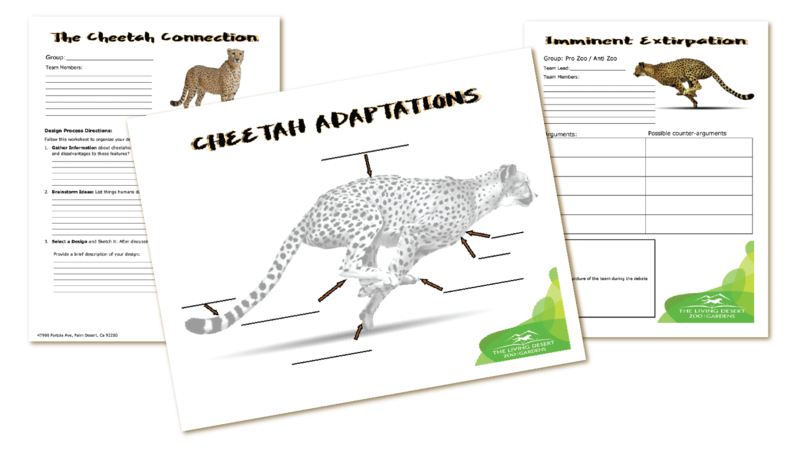 In this FREE conservation passport you will find important information about the cheetah and its race for survival! Download the Student Version and the Teacher Version complete with activity instructions and answers. The Living Desert designed a curriculum that includes the NGSS standards most relevant to the content. “STEAM” concepts are utilized in the three PDF’s that are created in the grade ranges: K-5th, 6th-8th, and 9th-12th. 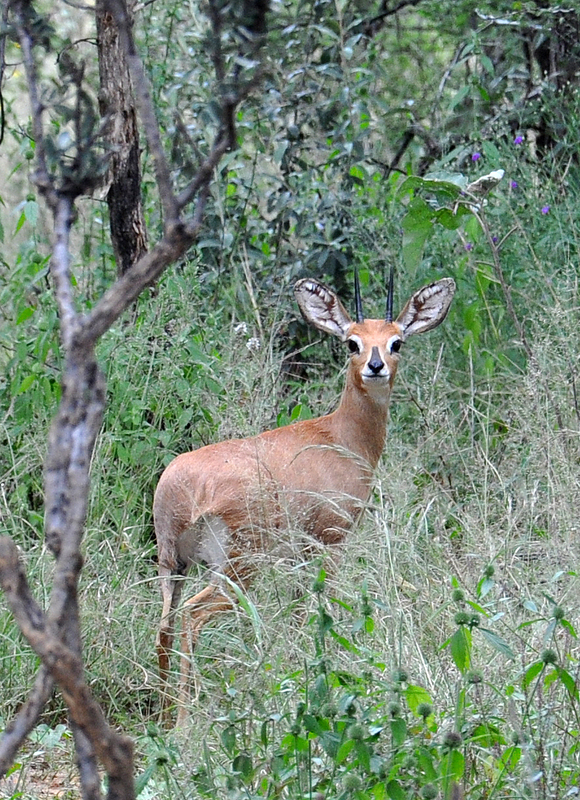 Cheetahs are carnivores, and feed mostly on smaller antelope like springbok, steenbok, Thomson’s gazelle, and duiker. They usually chase down their prey and then bite its throat, killing it by cutting off its air supply (suffocation). The cheetah has a long, muscular tail that has a flat shape. The tail almost functions like a rudder on a boat because they use it to help control their steering and keep their balance when running very fast. 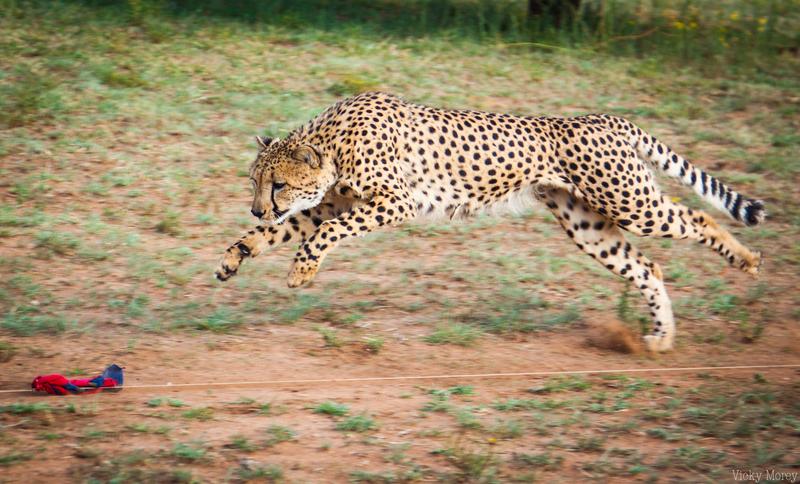 When cheetahs are running full speed, their stride (length between steps) is 6-7 meters (21 feet). Their feet only touch the ground twice during each stride. 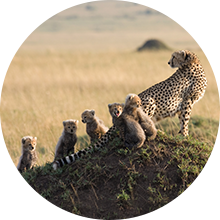 A mother cheetah usually cares for anywhere from 2 to 8 cubs per litter, but cubs are often the target of other predators and many do not survive past the first year. 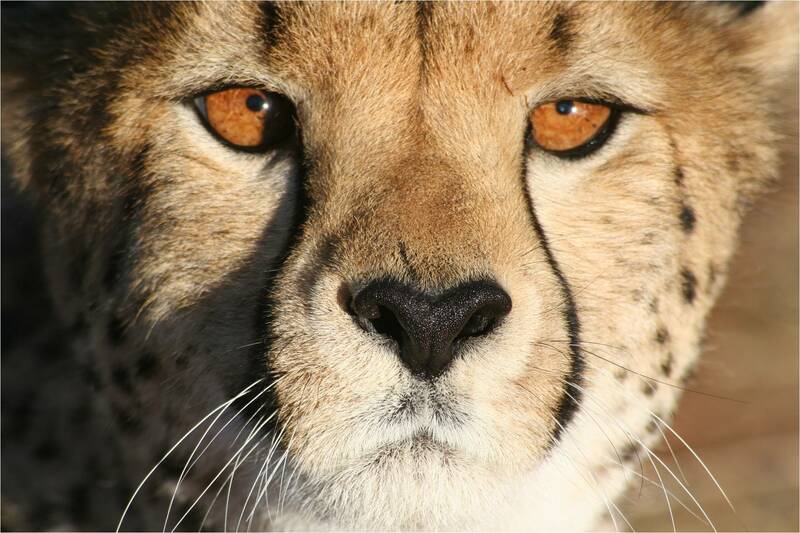 Cheetahs have “tear marks” that run from the inside corners of their eyes down to the outside edges of their mouth. These marks help reflect the glare of the sun when they are hunting during the day. They work just like the black marks that football players put under their eyes during the games. 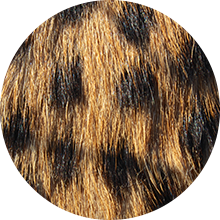 These marks also work like the sights on a rifle, to help the cheetah “aim” and stay focused on their prey when they are hunting. 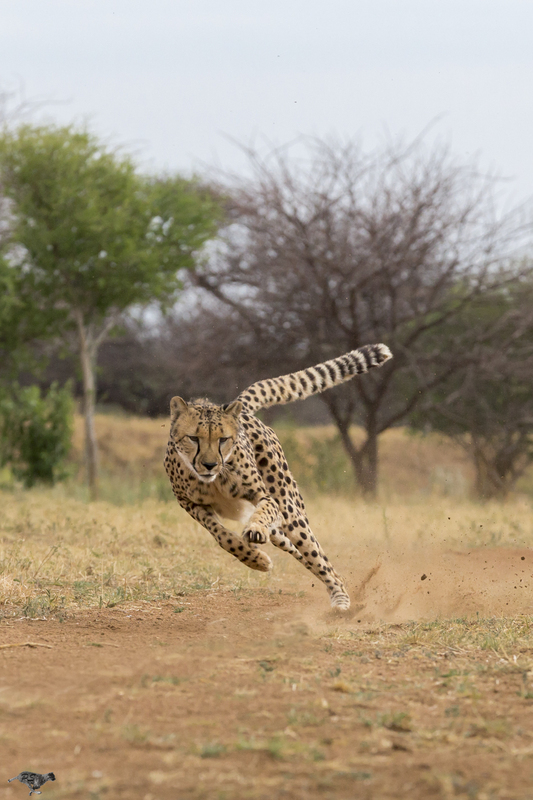 There are less than 7,100 cheetahs left in the wild, making the cheetah Africa’s most endangered big cat. 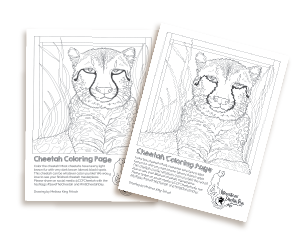 Brian Badger, Cheetah Conservation Fund’s Director of Conservation and Outreach discusses cheetahs in this Pecha Kucha (chit chat) style presentation. Learn amazing facts about cheetahs, the problems they face and the work that’s being done to save them in the wild. Watch it here by clicking the player below. Expand the presentation by clicking in the top right corner of the player or visit www.voicethread.com to view. Download the free Kindle version or get a hard copy here. 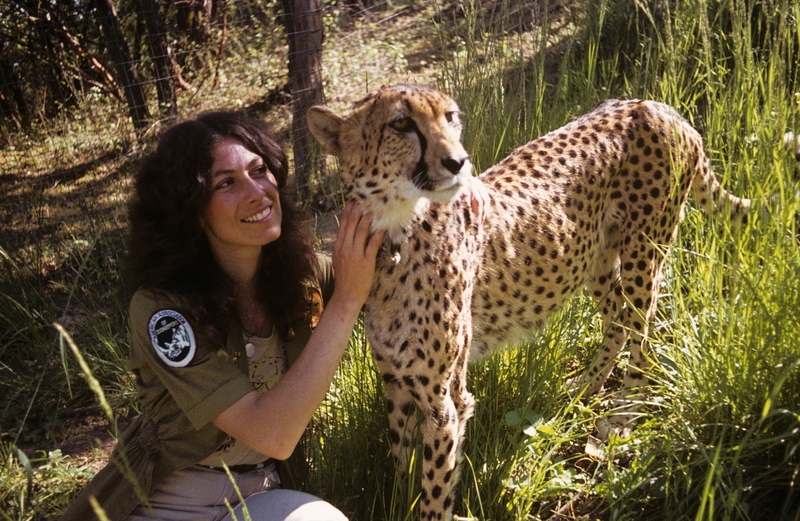 Dr. Laurie Marker is the founder of Cheetah Conservation Fund. She designated December 4th as International Cheetah Day in remembrance of Khayam, a cheetah she raised from a cub at Wildlife Safari in Winston, Oregon (pictured left). 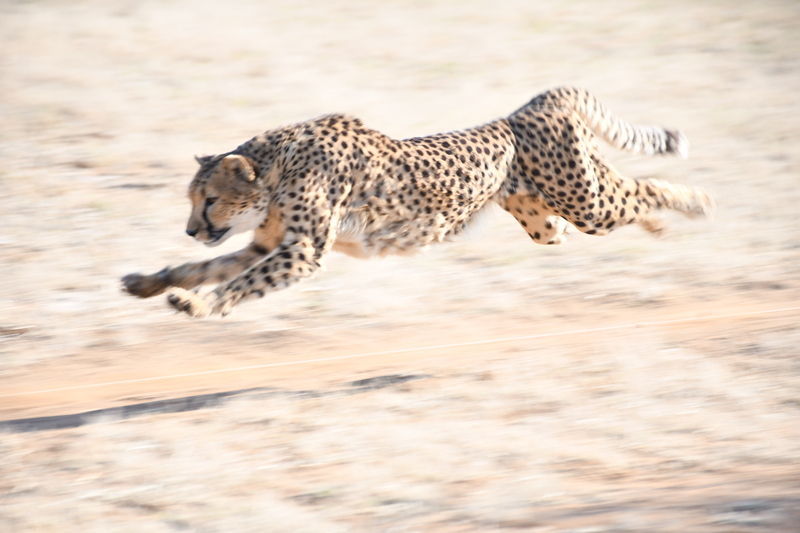 Dr. Marker brought Khayam to Namibia to determine if captive-born cheetahs could be taught to hunt. Their efforts were successful and eventually the pair returned to Oregon. But during this trip, Dr. Marker witnessed African farmers removing wild cheetahs from the landscape as a perceived threat. In 1990, she launched CCF and relocated to Namibia to mitigate the problem of farmer-cheetah conflict. 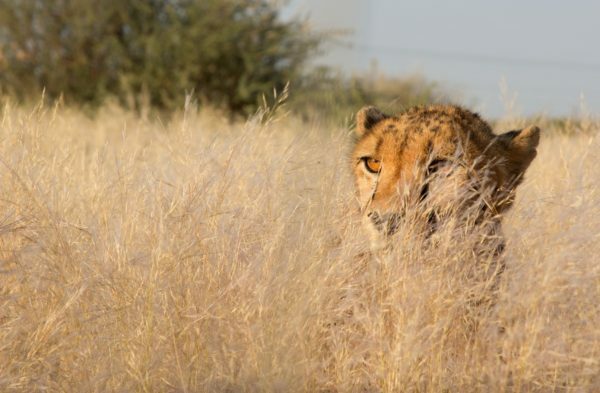 Because of her interactions with Khayam, Dr. Marker dedicated her life to becoming the cheetah’s champion, and she chose December 4th – Khayam’s birthday – for this important honor.